Even the best business idea will fall flat if you don’t reach the right audience. Whether you are a franchisor looking for franchisees or a franchisee looking for customers, you need an intelligent approach to franchise marketing. ThinkSEM is experienced in helping franchise businesses grow and prosper by maximizing online lead generation. We provide comprehensive internet marketing services for franchisees and franchisors. We listen to your business goals, evaluate your online presence and make recommendations to help you meet your objectives efficiently and cost effectively. All of our services are focused on performance. We will track every click, call and email contact so that you understand who your prospective clients are, where they are coming from and how you can reach more of them. 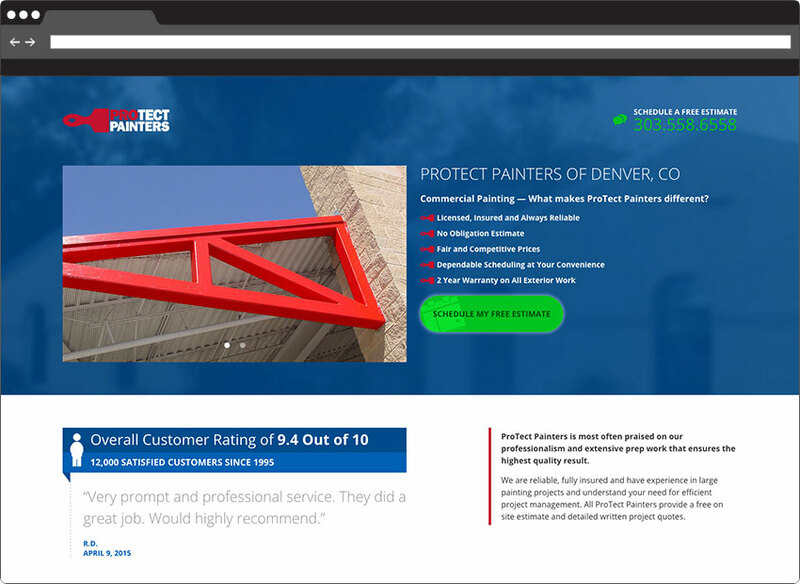 Websites designed for conversion: Our websites look good, but even more important, they work. Every web design decision, from color palette to image selection to the placement of the call to action is made with performance in mind and informed by years of experience and testing. Pay Per Click (PPC): We understand the nuances of Google AdWords and Bing Ads so that you get the most return on your investment. Campaign landing pages: We have years of experience in conversion rate optimization through effective use of landing pages. Landing page testing: A/B or multivariate testing can crank up the effectiveness of your landing pages and drive down your cost per conversion. Search Engine Optimization (SEO): We will strengthen your online presence through local SEO, on-page keyword optimization, intelligent link-building and quality content. Reporting: We will set up Google Analytics or audit your existing set up. We will provide context for all the data so you truly understand what the numbers mean to your business. ThinkSEM has helped franchise businesses in the service, education and industrial sectors. We’ve helped build corporate brands and individual franchisees by tailoring our approach to meet our clients’ specific situations. In some cases, we market the franchisor’s services, or we provide service to individual franchisees through an agreement with the franchisor. In other cases, individual franchisees contract with us directly on the recommendation of the franchisor. Not every internet marketing company understands the unique needs and multiple facets of a franchise business. Our in-depth knowledge of the franchise industry allows us to hit the ground running. We’ll spend our time helping you achieve your marketing goals, not learning franchise business basics. To learn more, please call 651.200.3831 or contact us by email. Located in the Minneapolis-St. Paul area, ThinkSEM provides online marketing expertise to franchisees and franchisors in Minnesota and nationwide.